I don't know if it's just me, but I find breakfast to be the hardest meal of the day. If I haven't already made something specifically breakfast-y, I get...lost. I try to think if I want to like, make something, but usually I'm too lazy. I think about making toast or something, but that oftentimes is something I'm not in the mood for at the time or I'm out of stuff. So, anyhow, this is part of the reason I like to have designated breakfast foods made-to make my life easier come morning time. The "truffles" are really pretty quick and easy to make, they're extremely satisfying, pretty healthy, and you prob. have everything you need for them in your cabinets already! I've been so busy lately, recipes like this are a lifesaver. I filmed a pilot for Comedy Central this weekend, I'm going to Maryland to finish (hopefully) shooting a short film and am recording my voice over demo this week, and lots of exciting things are happening with the movie I was in-You Can't Kill Stephen King. So, yeah, busy busy busy! But these little breakfast delights are easy easy easy! One thing you should be prepared for--these are quite chewy and somewhat dry, so make sure to have some milk (or water if you're me) at the ready, you'll definitely want it. Adapted from Oh Bite It's "Crunchy Oatmeal Breakfast Truffles"
Crush cereal and set aside. 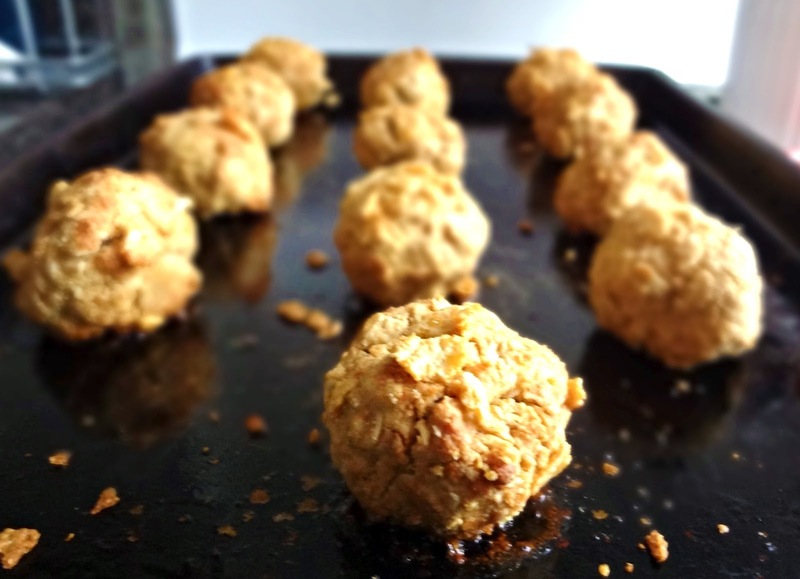 Roll mixture into golf-ball sized truffles, and coat in cornflakes. Prepare cookie sheet(s) with non-stick spray or parchment paper. Place truffles on the sheet(s). Drizzle honey over the tops. Bake for about 18 minutes (check on them after 16 minutes). 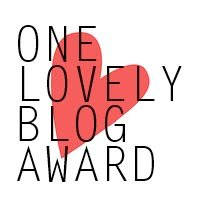 I also just wanted to give a big THANK YOU to Kim, from Treats & Trinkets, for nominating me for the "One Lovely Blog Award". Since I've already pretty much done all this stuff for other awards, I won't again. But, I had to share :). Congrats on your award Kayle and all the fabulous acting stuff on the horizon. While I hope it all takes off in a big way for you, I selfishly hope you'll keep sharing your awesome recipes with us. :D I am going to share these with my friend Liz who is a PB fanatic, has a small son and another baby on the way and definitely needs some "go-to" foods. Don't worry, I'm sure this blog will be around for awhile yet :P And aww definitely share these with your friend! I'm sure her son will love them too! Kayle ... You have been nominated for my NEW Food Stories Award for Excellence in Storytelling. Check out my site for the details (foodstoriesblog dot com). Lots of good things going on with you-I am glad to see that your career is moving in the right direction. Also, glad to see that you still have time to blog and share your talent in the kitchen. These look like some tasty little breakfast bites. Also, the protein is much needed in the morning! Congrats on your award and have a great day! Yum! What a great idea...it seems like great food ideas are swarming the net today!! such a great idea Kayle! i know my little one will love these! WHAAA? You have a little one!? I'm so dumb. That's so great! The little guy/gal will def. love these! Congrats on your award, my dear! Also, these look ahhhhh-mazing!!! YUM! I haven't seen anything like this before. It sounds delicious and I can see how it would totally help out in a rushed morning.